We're past the half-way mark of February, meaning we are also halfway through Black History Month, and I have yet to make a post on the topic. It isn't just because 4thletter does such a good job, nor is it due to some complex reason. I just couldn't think of anything to write about Black History Month in regards to the main subject I write about on this blog--comics. Why? One image got stuck in my head. One thought that may occur is why should I even write about race and it being Black History Month, aren't I white? Well yes, I am, but I've always been interested in race, gender, and religious issues and differences and working to achieve equality for all. In college I was a member of the Black Student Union (and not the only white person), the Latino group, and a group for Women of Color that welcomed anyone regardless of color or race. I was involved enough in the 1st and 3rd groups that I received recognition for being a great member, so clearly even though race issues may not directly impact me, I am involved and interested in how the various races that make up this world can advance to an era where we are a truly diverse and equal society. Due to this background, I felt that I should express how I feel about race in comics as it is a topic that isn't always covered, and as someone who has been heavily involved in multi-cultural efforts and whom is an avid comic reader, it gives me the opportunity to try and write about both. However, we then come back to my problem. 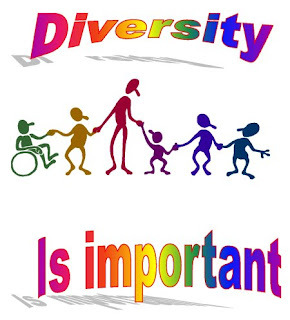 Notice the lack of diversity? One of the whitest characters around--Thor--casually killing the hero known as "Black Goliath," or in his normal name, Bill Foster. We later learn it is some clone of Thor or something, but that doesn't take away from this image in the fourth issue of Marvel's comic, "Civil War." 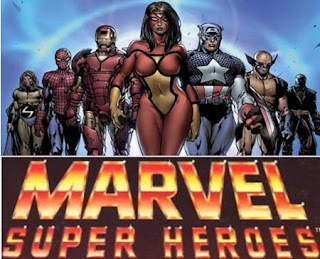 Despite the title, the comic wasn't about race but instead centered on super-heroes being told they needed to register their identities, resulting in some rebelling with Captain America while others sided with Iron Man. Still, you have one of the few black heroes around, with the word, "black," in his very name, literally having his insides blown apart by a blue-eyed, blonde-haired, pale-skinned, "God of Thunder." The white God killing the black human. 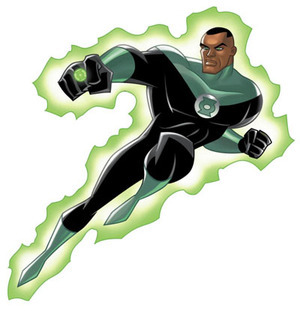 That's what I think of when I picture how mainstream super-hero comics have treated any non-white characters. That's a problem. Now, some people may say, "Well Mark Millar wrote Civil War," and, yes, I know Mark Millar has a history of sometimes being racially insensitive, but I don't think he's a racist, just sometimes a bit awkward on racial issues. Also, it wasn't just he who decided on killing Goliath, so trying to make it just about Millar when this is much bigger than one man is simplistic. 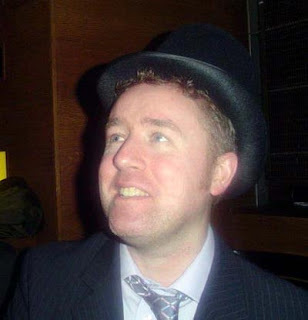 Mark Millar, not a racist, just sometimes racially insensitive. Wow! A comic with a black character sold tons of copies--never mind the fact that the reason it sold was because it featured a then-very popular President--no, no, it proves that we as a society have moved past race when a black President can team up with a white super-hero and racism is magically gone. I'm not exaggerating when I say I read posts by people on the internet thinking things are that easy. 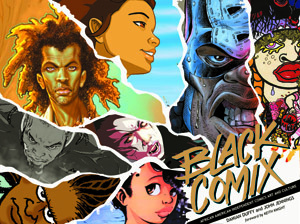 What about black creators in comics? Well, that has improved over time. 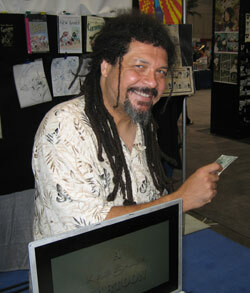 From Oliver Copiel to Kyle Baker, Dwayne McDuffie, and more, things have advanced since the sometimes hostile atmosphere creators such as Trevor Von Eeden had faced. Although another whole article could be written about the small amount of black women in comics. I've sounded pretty angry and cynical so far, but things are getting better in today's era of comics for black characters. Luke Cage gets a lot more comics exposure--mainly because Brian Michael Bendis (A Jewish white guy like me, go figure)loves him as much as I do, Misty Knight is head of the Heroes for Hire comic, and other encouraging signs have occurred in the sense that now we have character's who are defined by more than their being a minority (more on this shortly). Back to Luke Cage, he is arguably my favorite super-hero for the simple reason that no matter where he goes or what team he is on, he always cares the most about the average person--the common joe--and not just fighting galactic events, but making a local neighborhood safe. Luke Cage isn't just a black hero, he is a hero who happens to be black, a difference I've written on. He is complex and multi-faceted, can both beat up a bad guy and be home in time to give his daughter a hug and kiss (whom he had with another favorite character of mine, Jessica Jones). 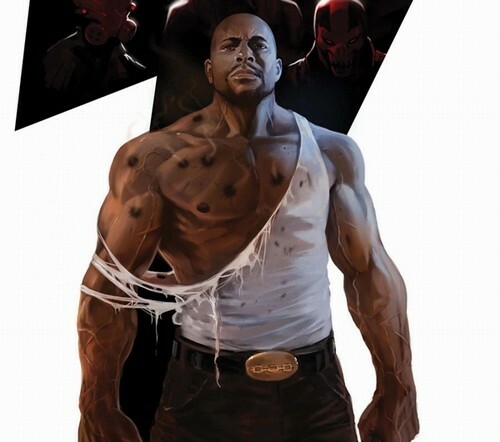 Luke Cage is probably the most active black hero in comics today, and even though he doesn't have a true solo title, his work in New Avengers and Thunderbolts gives us plenty of time enjoying Power Man. 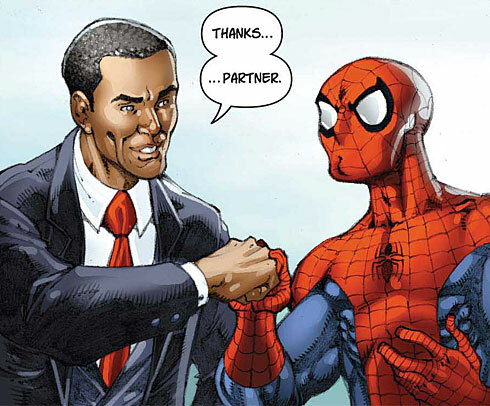 Comics have a long way to go toward achieving true diversity and multiculturalism, but things are getting better. Still, when the main thing that sticks with me still is Bill Foster being killed by Thor, it shows that as far as we've come, there is still a plenty long way to go. That's my big essay-post. Have a great rest of Black History Month! Most views I've ever gotten. Nate Grey Returns to X-Men Comics! Very Sad News--Dwayne McDuffie Has Died. Rant-Reviews--Two Wolverine Comics and Worgen. Big Post Coming at Noon Today. Check It: New Thor Trailer! So That's What HotLinking Means. A Shout-Out to Another Blog. A long comment I made on another blog. Borders To File For Chapter 11. My Favorite Kind of Breakfast Pastry. What I'll be Posting Throughout Today. Terrible Comic Coming Out Next Wednesday. Breaking News About The Former Fantastic Four! This Moon Knight Teaser Gets me Excited. February 2011 Previews Part 1--What Looks Good. New Marvel Teaser Released, My Thoughts On It. A Match-Up I'd Like to See.